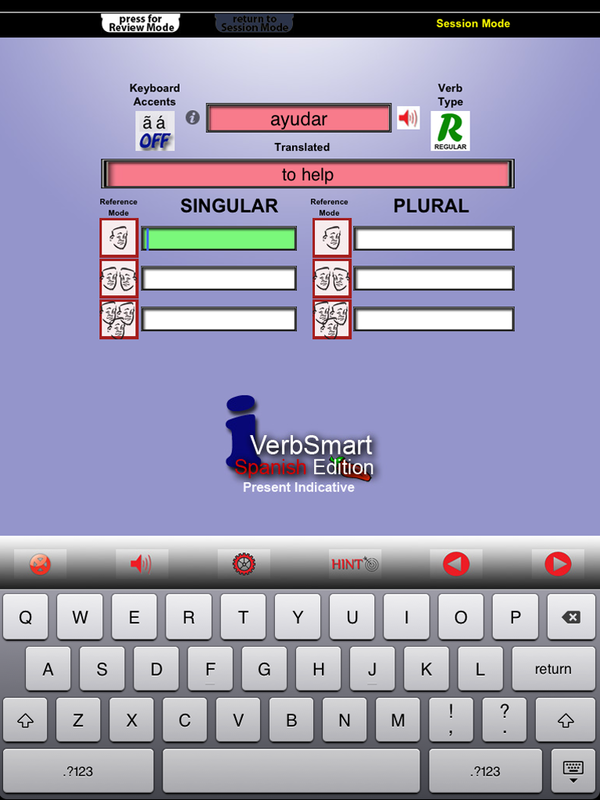 Learn to conjugate verbs the iSmart way! 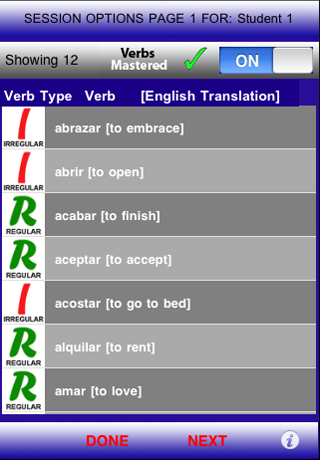 The iVerbSmartSpi application is designed to provide Spanish language students of all ages with an effective tool for the essential mastery of verb conjugation in the Present Indicative Mood. It contains 151 of the most commonly used Spanish verbs in verbal and written communication. 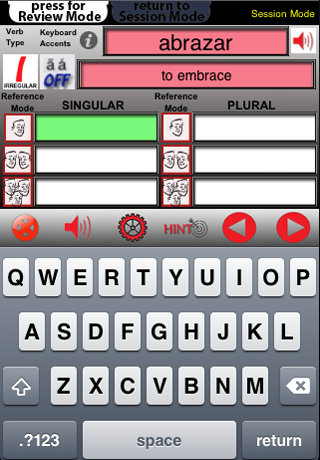 The application merges proven foreign language learning techniques with the features of mobile computing devices. The application consists of three integrated learning modules and modes of operation. In Session Mode, students are challenged to correctly spell the six inflected Present Indicative Mood verb forms after being presented with an infinitive verb. 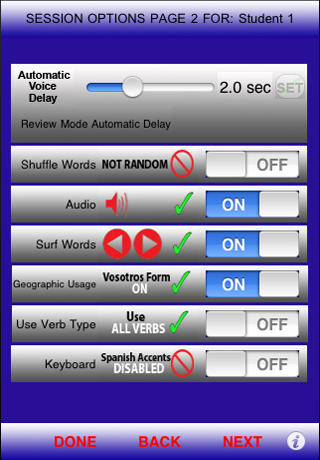 Audio tracks of a native Spanish speaker are presented to cue students on each verb they are required to spell. Each verb must be spelled correctly before proceeding to the next. In Review Mode, students can select any of the 151 infinitive verbs from the application with a convenient drop down menu (word picker). They can review the Spanish verb of their choice along with the English translation and the six conjugated forms. Audio tracks initially play automatically and can be repeated manually by pressing the speaker button. Students are encouraged to speak each word after the narrator in order to become proficient in the correct pronunciation of each word. 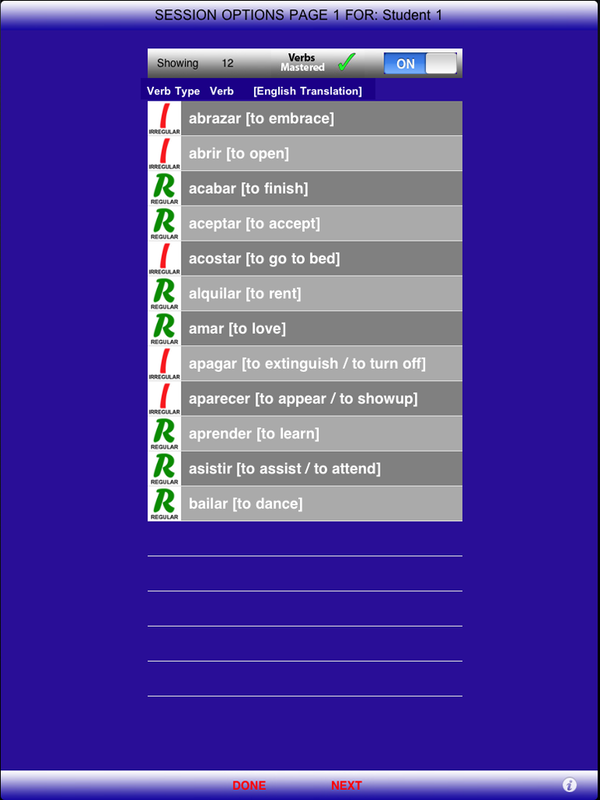 In Reference Mode, students can access a wealth of information about a particular verb on the fly. 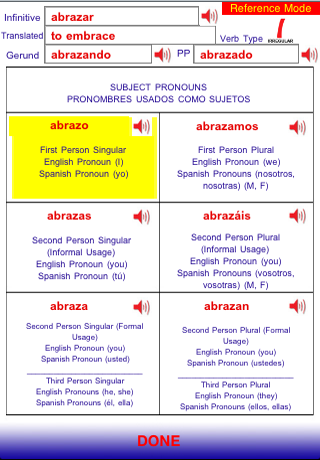 Each verb is fully conjugated in the Present Indicative Mood and audio tracks are available on demand for each of the Spanish words. 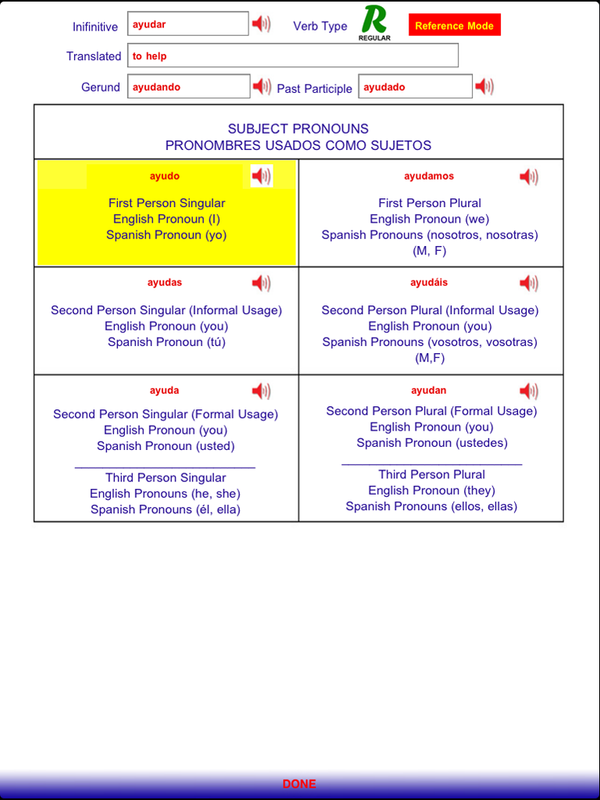 Subject pronouns, in both English and Spanish, are also presented. This application accommodates up to six students. Students can personalize this application with their own name and option settings. 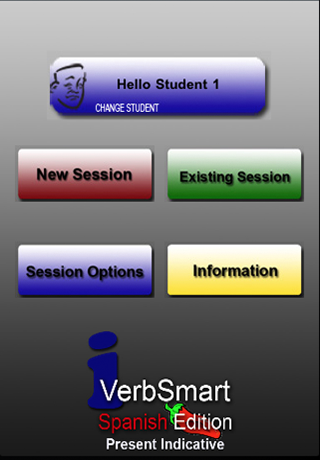 The application also maintains each student’s progress between session breaks until it is reset. The objective of this application is for each student to successfully master the conjugation in the Present Indicative Mood of all 151 infinitive verbs. Mastering a new language is an exciting undertaking. Students who devote the required time and energy to successfully master all 151 of the most commonly used Spanish verbs in this application cannot help but take their mastery of the Spanish language to a new level. 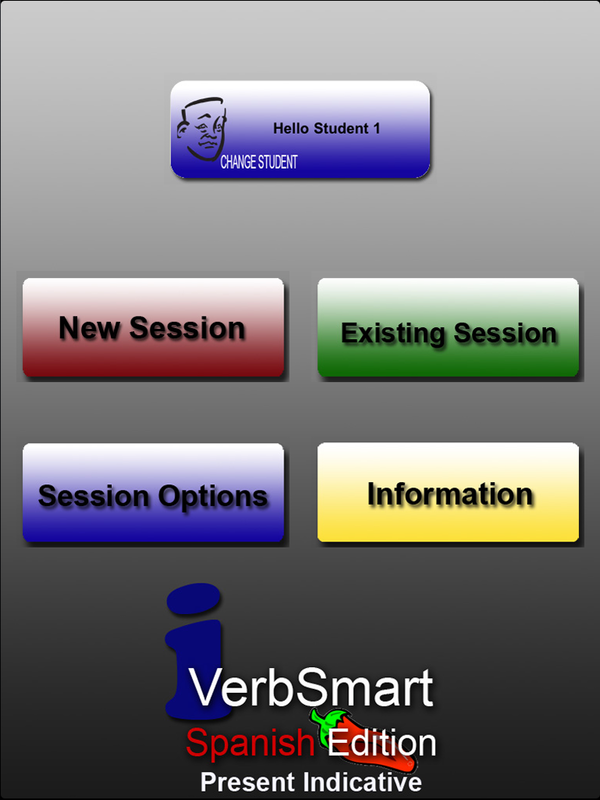 Using the options screen, you can review verbs that have been mastered and verbs yet to be mastered. Up to 6 players can have customized options and mastered verb lists. 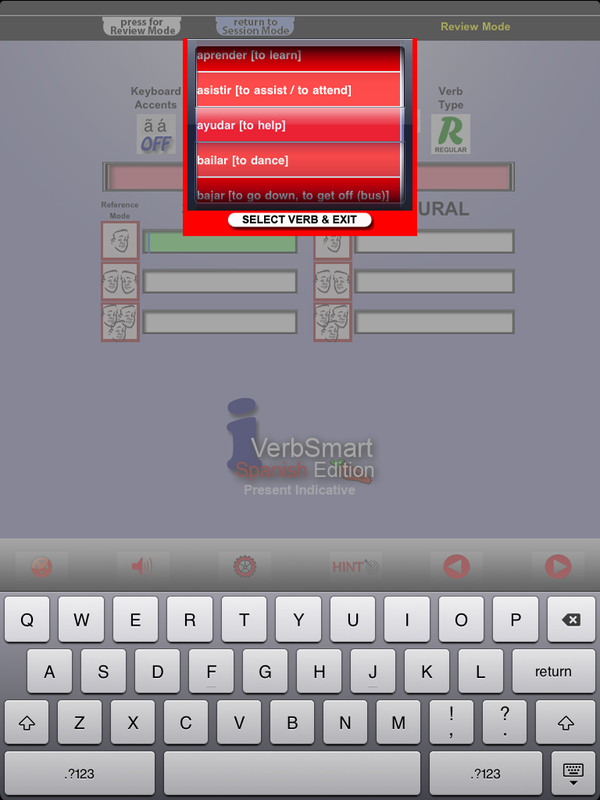 Click Here to Open iTunes for iVerbSmartSpi.